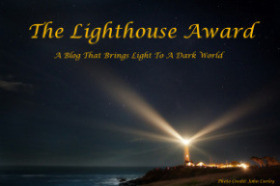 I want to thank Stacy at http://onegirlriot.com for kindly awarding me this Lighthouse Award and her kind words about my blog. There are a few rules so I’ll get right to it. 1. 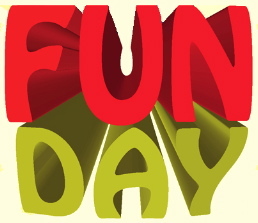 To encourage writers to pursue their writing in any way that works for them. There is no ‘right or wrong’ method, just your own. 2. Share my writing journey and experiences with as many people as possible in the hope it will enlighten them. The main aim of my blog! 3. To be a true friend and follow through with my promises and commitments. http://wildhorse33.wordpress.com/ My mentor, dearest friend and huge encourager. http://risingwoman.wordpress.com/ If you read this remarkable woman’s story you will understand that determination is her middle name. http://www.kathiesutherland.com/ A place to refresh your mind and soul. Enjoying the stillness and centering yourself. http://knitewrites.com/ Extremely informative blog that gives me inspiration. Today’s prompt – create a poem or story with a lighthouse as the central character.